Bankruptcy and insolvency filings on the part of U.S. and German solar manufacturing companies Suniva and SolarWorld AG, respectively, and the former’s filing of an associated petition for “safeguard” protection with the U.S. International Trade Commission (ITC) has reignited debate and controversy regarding China’s international trade policy and support of its domestic solar PV (photovoltaic) cell and module manufacturers, which dominate the global market. 2016 was a particularly notable, and exciting, year with regard to the Chinese central government’s national solar PV policy platform, Meishi Tan, a consultant at Apricum, a Berlin-based cleantech advisory firm, points out. 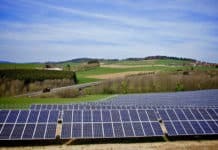 “The release of the 13th Five-Year Plan for Energy cut the 2020 PV target from 150-GW to 105-GW, and utility-scale FiT (feed-in tariff) rates were slashed by the largest margin in history,” Tan wrote in a recent Apricum newsletter article. Keen to capitalize on the economic and job creation benefits associated with solar PV manufacturing, governments around the world have been setting policies and enacting programs to boost and support domestic solar PV cell and manufacturing, as well as instituting measures to insulate them from Chinese and other foreign competition, Tan explained. The largest Chinese PV manufacturers, along with sufficiently large and well-capitalized manufacturers in other countries – or those in which governments have restricted imports to protect domestic manufacturing – by and large are price-takers and wind up having to get creative in finding ways to survive and turn profits amidst an ongoing glut of supply and production capacity. “Many markets are setting up local manufacturing, but these are only likely to be successful with some kind of protectionist policies (e.g., Turkey, Brazil), or purely by being lower-cost (e.g., SEA [Southeast Asia], India),” she elaborated. In addition to overcapacity, the global average manufacturers’ price-per-watt for PV cells and modules depends on the rate of technological development, Tan continued. In addition to a globally significant shift in favor of distributed, as opposed to utility-scale, PV, Tan believes the central government’s recently launched Top Runner Program will add impetus and accelerate the pace of technological innovation among China’s PV sector in coming years. Suniva invokes Section 201 of the Trade Act of 1974 (Global Safeguard Investigations), Import Relief for Domestic Industries in its petition to the U.S. ITC. Representing 1,000 U.S. solar energy companies, the Solar Energy Industries Association (SEIA) quickly came out publicly in opposition to the petition, in which Suniva states that proscribed international trade policies and practices on China’s part left it unable to compete in the U.S. market for crystalline silicon PV (CSPV) cells and modules. Furthermore, Suniva contends that these policies and practices constitute “an existential threat to the U.S. solar industry,” according to SEIA. 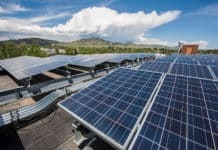 The U.S. national solar trade and industry association asserts that Suniva’s petition fails to merit initiation of a Sec. 201 “safeguard” proceeding on both counts, much less a favorable ruling. The standard ITC petition review process includes investigation, review and decision-making phases, as well as determining appropriate remedies and follow-up phases should an ITC panel find in Suniva’s favor. Of particular significance, in its petition Suniva asserts the company and its experience are representative of the U.S. CSPV manufacturing sector as a whole, a key criteria in the ITC’s decision-making process. That’s not the case, SEIA president and CEO Abigail Ross Hopper highlighted during a Web conference call. Suniva accounted for 21 percent of U.S. CSP production in 2016 and 14 percent in 2015, market shares that fall short of being considered representative of the sector as a whole, SEIA contends in a letter it sent to the U.S. ITC shortly after Suniva filed its Sec. 201 petition. In addition, Suniva is asking the U.S. ITC to impose penalties on U.S. CSPV imports from Chinese manufacturers worldwide, wherever they originate, SEIA highlights. A favorable ruling would not only inflict serious damage on the U.S. solar energy industry and put nearly 260,000 jobs at risk, it would ripple out and have similar effects globally. Thirdly, a favorable ruling would exacerbate the issues of global overcapacity and annual surpluses that Suniva proposes to remedy by imposing additional import duties. Operating and profit margins continue to be squeezed worldwide to a degree that only the largest, best capitalized manufacturers, as well as those well protected and supported by government policies and programs, will be able to survive, industry analysts say. “We are advocates of free and fair trade,” Ross Hopper said during the Web conference call. SEIA does not oppose imposition of punitive duties or tariffs “when facts arise supporting an ITC petitioner’s claims,” she added. SEIA doesn’t believe that will turn out to be the case with regard to Suniva’s Sec. 201 petition. “This case is not about illegal dumping; this case is about one company claiming that they were not able to compete, and that’s what the ITC will focus on,” Ross Hopper explained. SEIA also came out strongly against, and led the opposition to, a U.S. ITC Sec. 201 petition filed in Oct. 2011 by the Coalition of American Solar Manufacturers (CASM), an industry group led by SolarWorld AG’s SolarWorld Americas subsidiary. That Sec. 201 petition did center on illegal dumping of PV cells and modules in the U.S. by Chinese manufacturers, and it was successful. After a lengthy investigation and review, the U.S. ITC in May 2012 found in CASM’s favor and imposed preliminary anti-dumping and countervailing duties on U.S. imports of Chinese manufacturers’ CSPV cells and modules. It wasn’t long after that German and European Union (EU) manufacturers followed suit. The EU imposed its own set of punitive import duties on imports of PV cells and modules manufactured in China in Dec. 2013. The European Commission recently voted against a push on the part of 18 member states to extend and raise them. 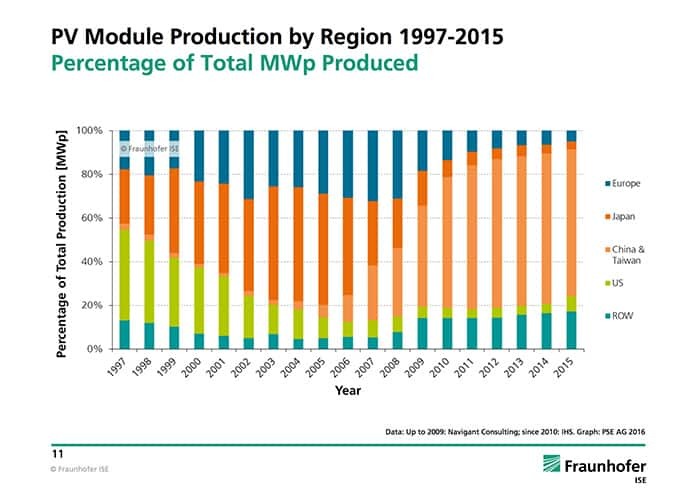 The U.S. and EU import duties and tariffs have not stemmed the tide of Chinese manufacturers’ PV cell and module exports, or the declining trend of CSPV cell and module prices in national markets worldwide. As Suniva’s bankruptcy and SolarWorld AG’s insolvency filings clearly demonstrate, the squeeze on the operating and profit margins of PV manufacturers continues. 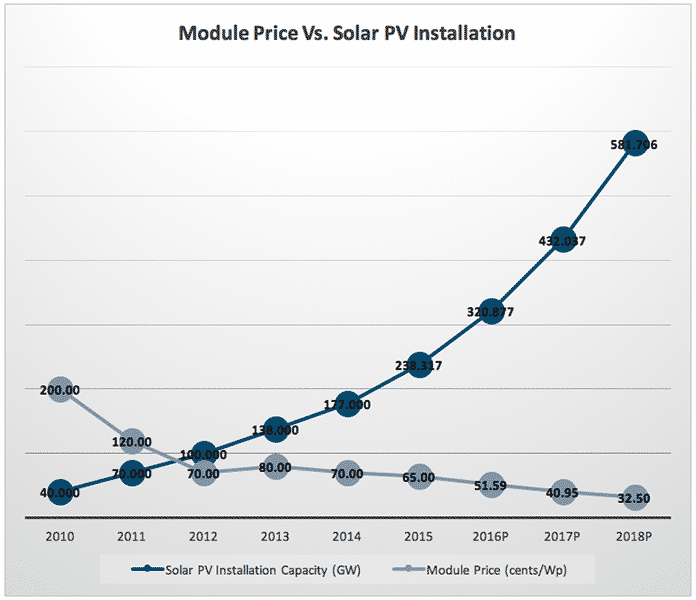 The situation is the same in China, however; where all but the largest domestic solar PV cell and module manufacturers can sustain their businesses amidst the ongoing decline in selling prices, Tan highlighted. The result, will be ongoing industry consolidation worldwide, including the failure of CSPV manufacturers in China and globally. In fact, China’s central government has made industry consolidation a key aspect of its latest national five-year energy plan. Prior to coming out publicly, SEIA’s board of directors voted overwhelmingly in favor of the U.S. industry association coming out strongly in opposition to Suniva’s Section 201 international trade safeguard petition. Similarly, an initial round of engagement revealed that SEIA member companies are largely in support of adopting such a stance as well, Ross Hopper said. The large majority of U.S. solar industry jobs are found “downstream” from PV cell and module manufacturing in the supply and market value chain. Of the 259,000 Americans working in the sector, 38,000 are employed by PV manufacturers, according to SEIA. Another round of import duties and tariffs would put all those jobs at risk, Abbot emphasized during the Web conference call. “All elements of the U.S. solar industry value chain are important to us…Those 38,000 manufacturing jobs aren’t any less, or any more, important to us. They represent livelihoods and well-being, families, health, education, income and spending,” Ross Hopper said. Besides opposing Suniva’s ITC petition, SEIA aims to engage U.S. solar manufacturers and its entire membership in a bid to come up with prospectively effective and acceptable solutions. Questions regarding Suniva’s ITC petition in the context of President Donald Trump’s strongly pro-U.S. manufacturing stance on international trade and U.S. manufacturing, and the degree to which domestic politics will influence the ITC petition process came up several times during the Web conference call. The political benefits of making headlines if a favorable ruling were to come to pass are vastly outweighed by the series of headlines regarding U.S. solar industry layoffs and the 259,000 jobs put at risk that would ensue, she added. Tan expects that, while Chinese players will face a greater pressure to internationalize in the face of shrinking domestic margins, many will choose to focus on exploring previously untapped or under-tapped domestic segments like distributed PV, which in comparison are lower hanging fruits. 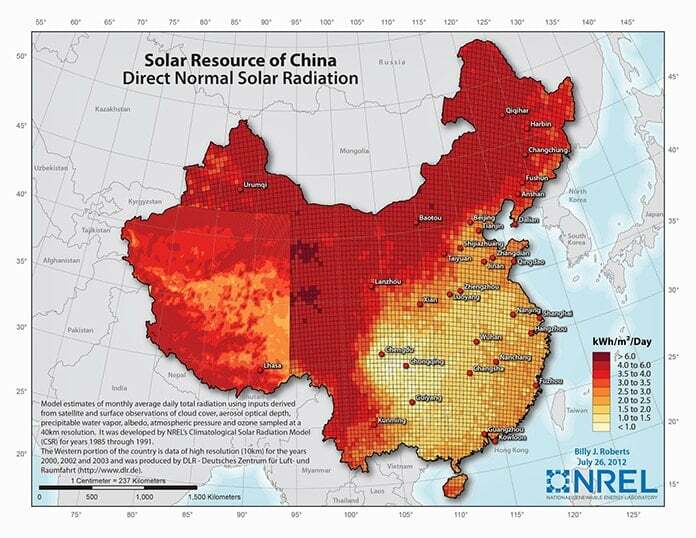 Furthermore, “[c]onsidering the size of the Chinese market relative to the global PV market, their first priority would be to explore previously untapped sub-segments domestically, where their sales network are all set up,” Tan highlighted. Based on initial estimates, SEIA projects that the U.S. price of CSPV would double if another round of duties and imports were to be imposed. 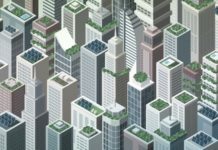 Furthermore, “there would be fewer projects – rooftop to utility-scale – fewer jobs, layoffs and a global ripple effect,” Ross Hopper said during the Web conference call. Given strong backing by its board of directors and membership, SEIA intends to lead the opposition to Suniva’s Sec. 201 petition from beginning to end, she added. In addition to engaging its membership, the industry association’s leadership intends to reach out far and wide, including establishing and enlisting broader-based coalitions in the fight. “We’ll work diligently through the U.S. ITC process to find a free and fair trade solution that addresses the root causes of CSPV overcapacity and recurring annual surpluses, one that works for all stakeholders,” Ross Hopper summed up. 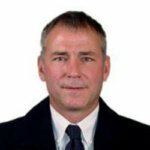 Turning to developments in China, ongoing concentration of production and market pricing power in the hands of the largest Chinese CSPV manufacturers and/or the central government “makes it extremely easy for one regulatory body to send ripple impacts across the world, whether intentional or not,” Tan told Solar Magazine.